It’s hard to believe it is already July! We are loving the summer, and have certainly been busy with exciting things! June was a fun month for fundraisers – the Medicine Hat Chapter hosted their first ever Hues for Humanity event, as well as the Drive the Wagon golf tournament. Both events were a success, and between them raised enough funds to feed 50 students one hot meal a day for a year at our Education Support Centers. We are looking forward to holding our next Hues for Humanity event in Virginia this fall! 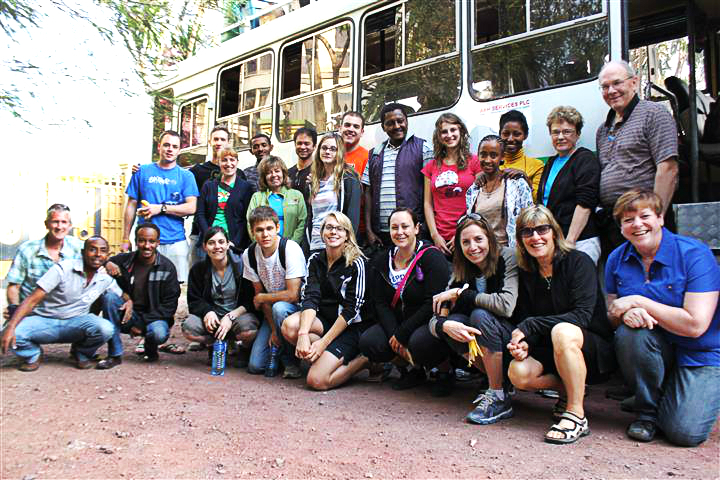 We took a great group of students from Okanagan College to both Ethiopia and Malawi in May. It was a wonderful trip, full of great experiences! The team was able to do medicals, and provide the community clinics in rural areas, as well as introduce some local children to Frisbee – a game they had never seen before! 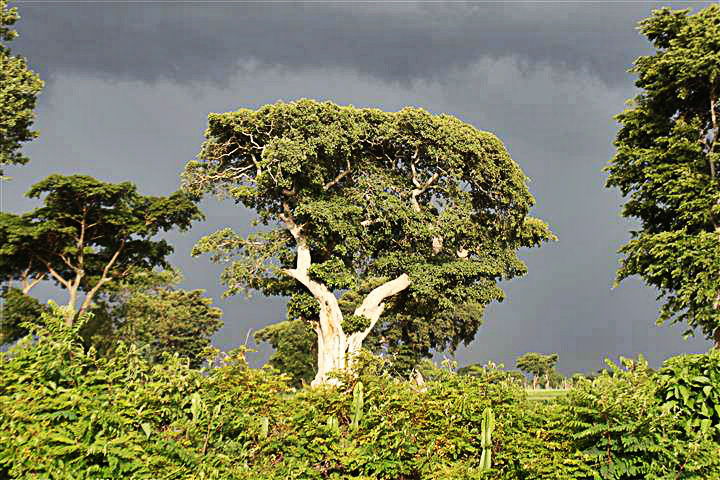 We have just released the 2016 Schedule of Expeditions – take a look below! 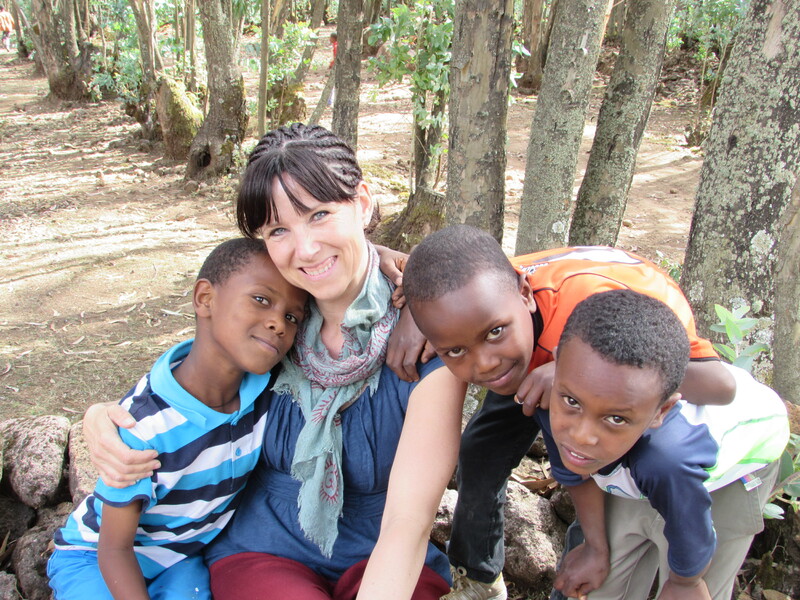 When I signed up to travel with Kids Hope Ethiopia (known as Canadian Humanitarian in Canada) I knew I was headed out for an adventure and boy did I get one…Ethiopia was amazing! I have traveled many places and I can now strongly say that I have met the happiest and kindest people on this planet, they will give even when they have nothing to give! I was in awe with the time and passion they put into everything they do. We were honored with Coffee ceremonies almost everywhere we went and the time and effort put into them is humbling, and for us …I felt like royalty! And my heart…well I don’t know how to explain it, but it felt like it was going to explode with love. I never expected the deep emotional connection to the children but the way they look at you, greet you, touch your hair, and just hold on to you for hours, so tender and with so much love, the pain behind their smiles as they struggle to carry on. They are so thankful to be a part of the Canadian Humanitarian Family and so am I. It feels like it’s what glues them to their future. The credibility of this organization is real, I felt like I was part of a family from the very beginning, starting from Heather Woodward (Program Development Coordinator, and Expedition Team Leader) meeting us at the airport, to our wonderful drivers that treated us like sisters, to the passionate staff at the centres. Overall it was an amazing experience and I will share with all the great work this organization is doing for these children and families. 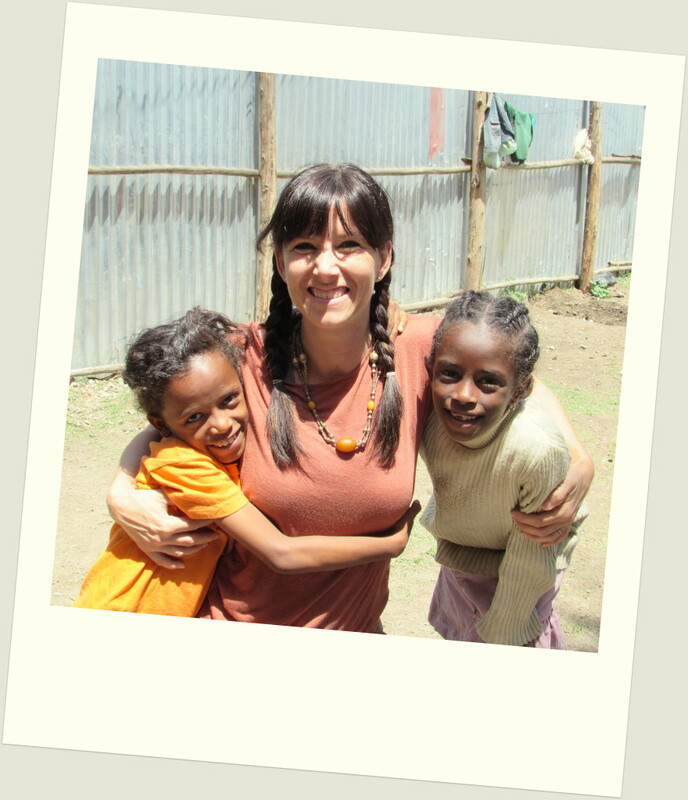 My experience in Ethiopia is so hard to describe. 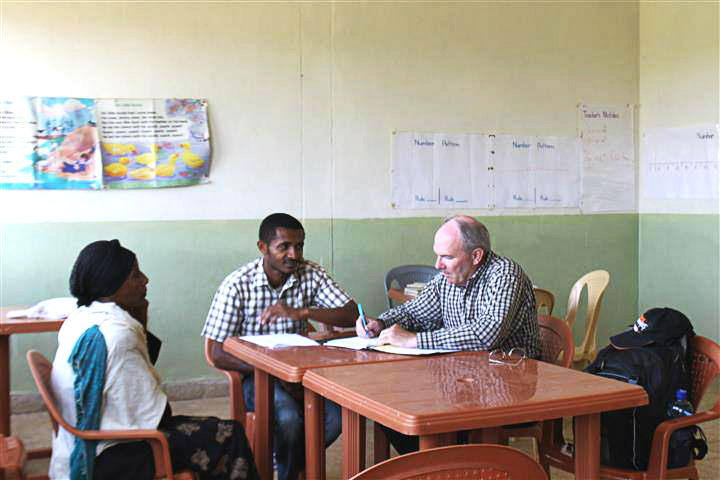 Throughout my time in Ethiopia I wrote down single words that help me to better understand and illustrate the work of Kids Hope Ethiopia, the staff, the children and the families in Ethiopia. Their goals and expectations for the children are no different than what we have for our children in North America. My experience has been powerful and simply life changing. I made a commitment to one of the moms during our home visit and told her although we would be going back home that did not mean we would stop working for her family. There are many other children in the community that need our help. I plan to be part of the change and keep the powerful words in my mind when I think I, just one person, can’t make a difference. I can and I will. This blog was written by Linda Langevin, one of the volunteers with the May Expedition. 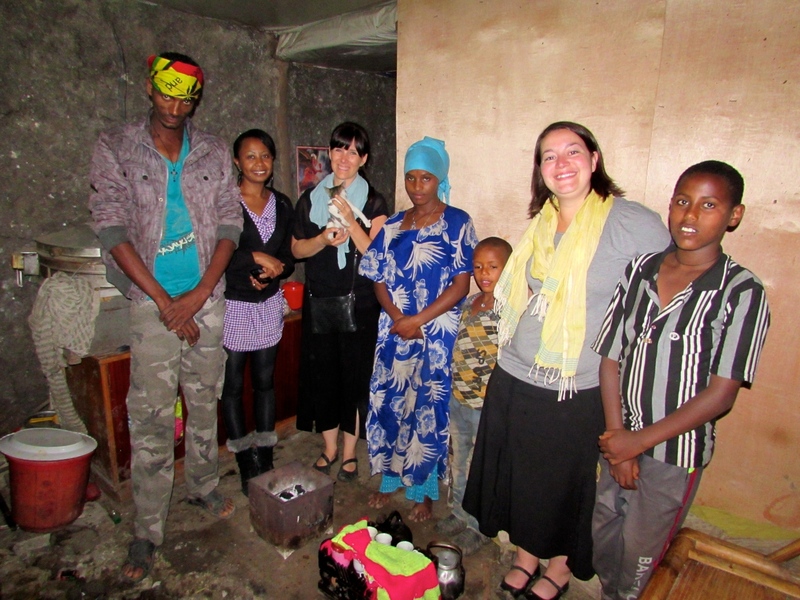 We have the opportunity to do a few home visits with our students when with an expedition group. Home visits allow us to meet guardians and to thank them for the support and love they daily give their child or foster child. 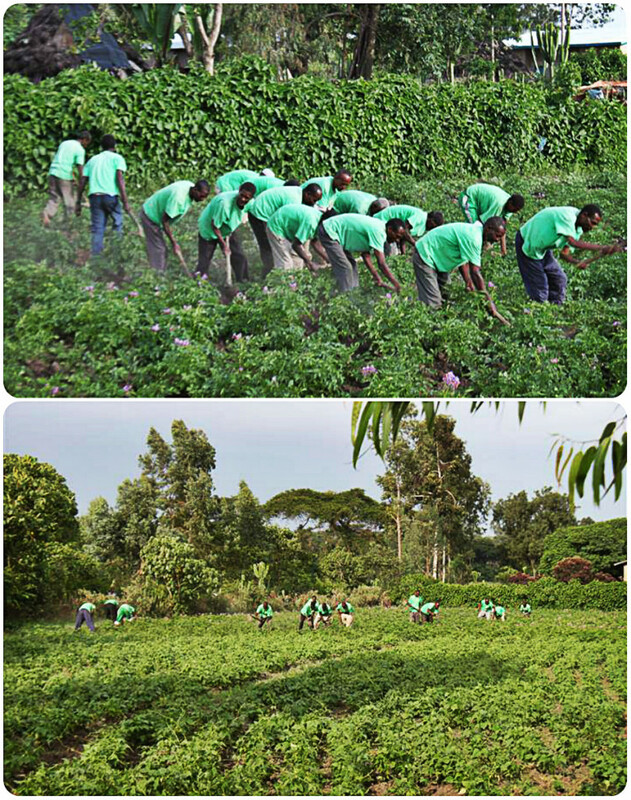 It is an acknowledgement of their hard work and a way for us to show our gratitude for what they do. 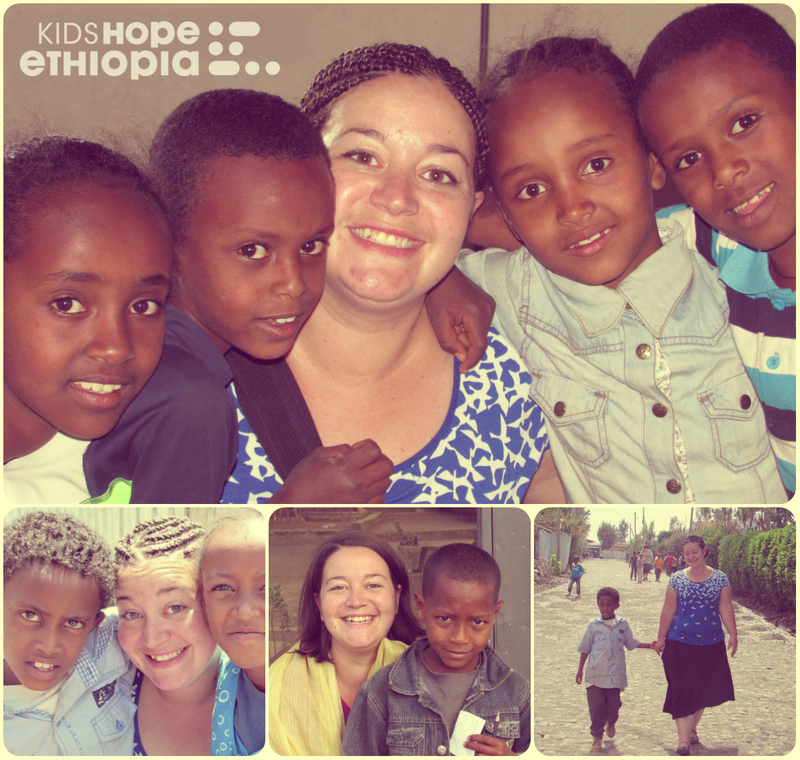 During a home visit a few months ago, our group (Lyndon, Nikki, and I) met a wonderful family in the Kirkos area of Addis. The mother is a market vendor. 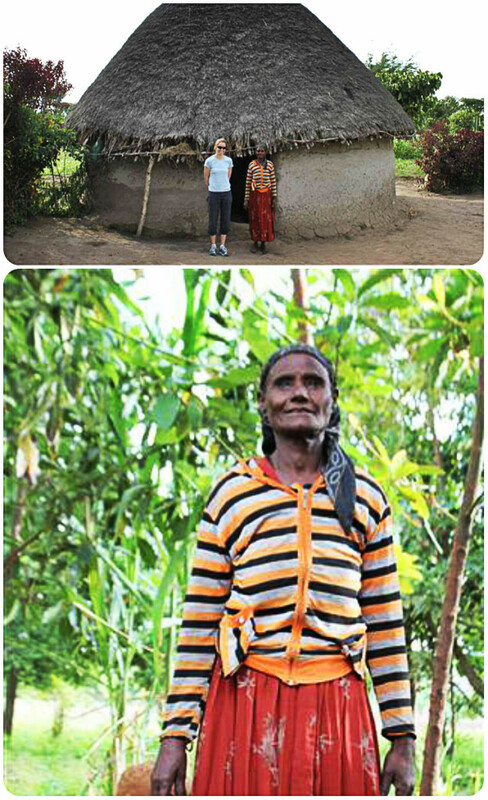 She has 3 children; an older teenage girl, a mid-teen boy ( in our program) and a younger boy. 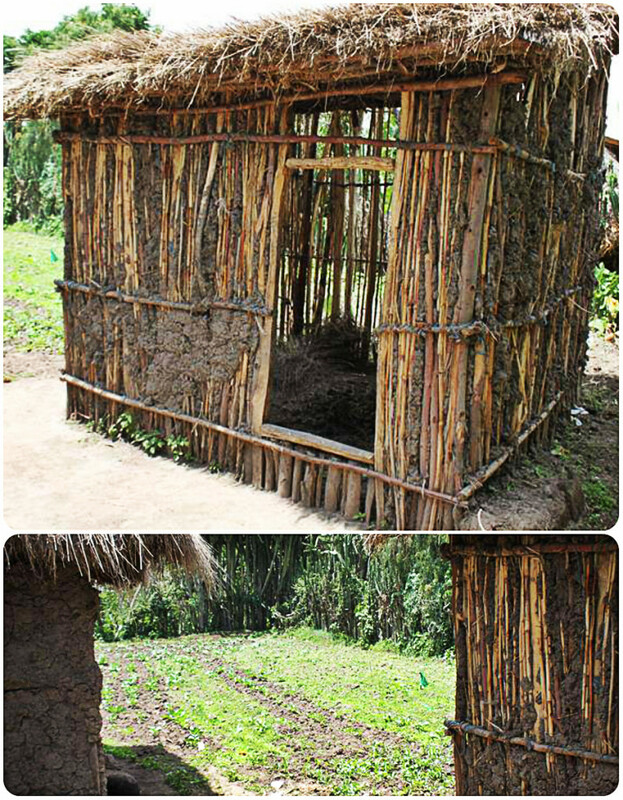 The family recently moved into their small mud and stick home, offered by local government authorities. 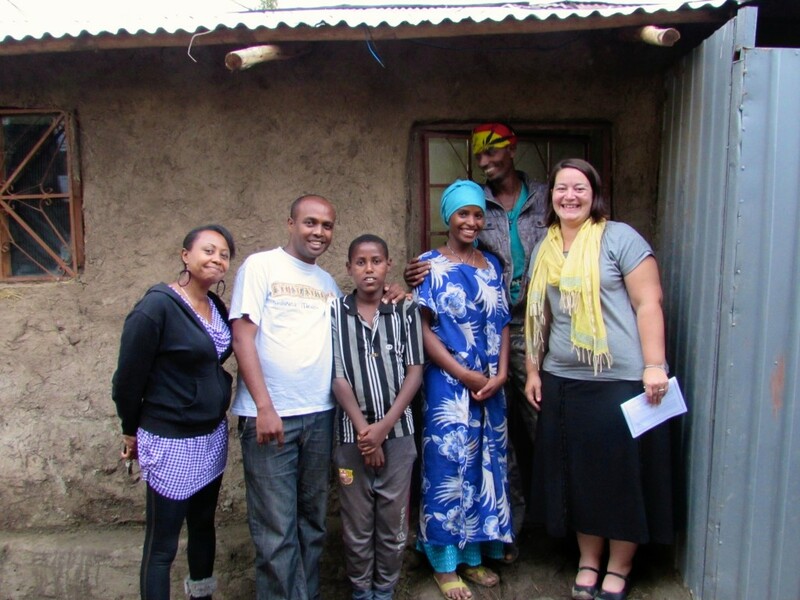 This new home got them off Addis streets, and into a space of their own. However, the home was in deteriorating condition and the front door did not lock. The family had managed to stave off intruders, but there were safety concerns for the daughter. During our February visit, we were concerned for the welfare of this family, and moved by their stories. Our volunteer group tried to get improvements in motion, but due to the home being government property, petitions for improvements had to pass through local government channels before repairs could be made to the home. Once back in Canada, I thought of this family regularly. I believe that no one should have to live in fear in their own home. Everyone should be able to have a safe place to sleep. We know that this can be a challenge even in our country. The family’s safety, particularly the daughter, weighed on my mind. With the May Expedition Group, I had the opportunity to meet with Kirkos Education Center staff. They assured me we would do home visits again, and they promised that I would be impressed with the changes for this particular family. On our last day with the children in this program, home visits were scheduled. I was anxious to see this family. As we came around the street corner, I knew I was in a familiar area, but I never would have recognized the home on my own. The outside structure had been reinforced. There were no longer holes in the walls. A window had been added to the front of the home to allow for more light. A new door had been installed and the lock was functioning. The interior of the home was restructured, with new concrete floor. 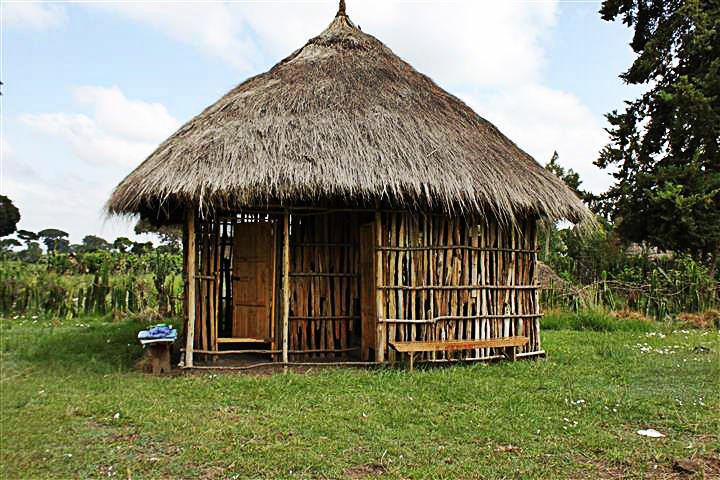 A proper bedroom had been added, and the roof replaced, so that it no longer leaked. The family was so grateful for what had been down with their home. As we visited, I asked the daughter how she was feeling. She told me that she felt safe, that she could sleep soundly at night again. 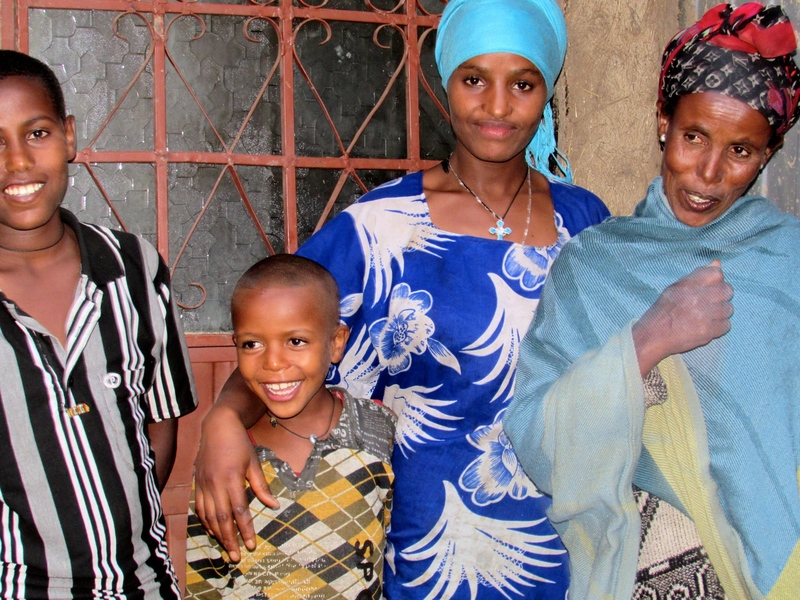 Her brother in our program was also able to significantly increase his school performance. I cried many tears of happiness that day. I was grateful to our project managers and partners, who recognized the family’s need and pushed for approval from the government to renovate the house. I was impressed that they acted quickly, engaging both the family and their neighbours to volunteer their time to get the house renovated. What a difference this is making to our student, and the family! 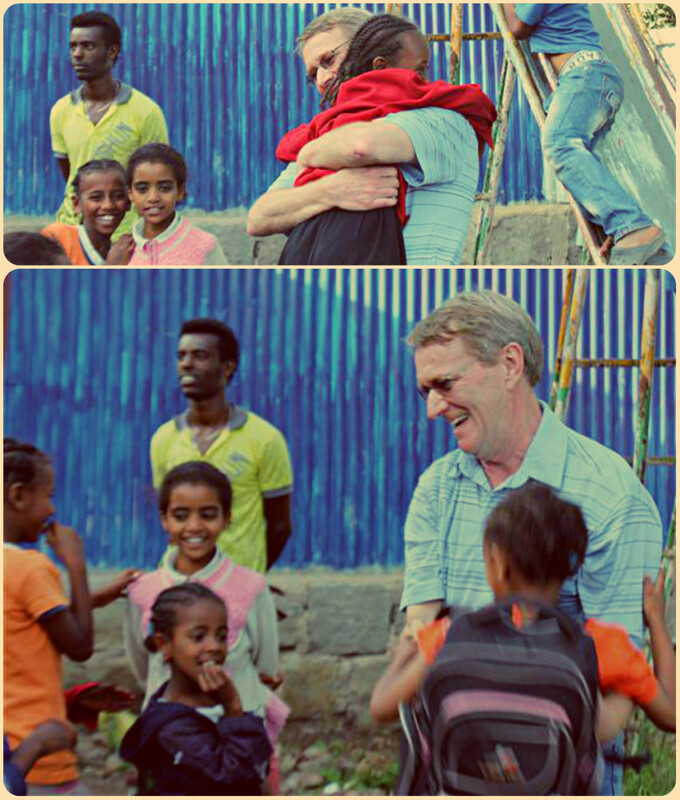 When I arrived back in Ethiopia this trip (my second this year), it felt as though I had barely been gone. Things were much more familiar to me and it is beginning to feel like home while I am there. We had four volunteers on this expedition plus myself as the team leader; as a small group we were able to work closely together. We were able to accomplish a number of educational and interesting sessions on this trip. 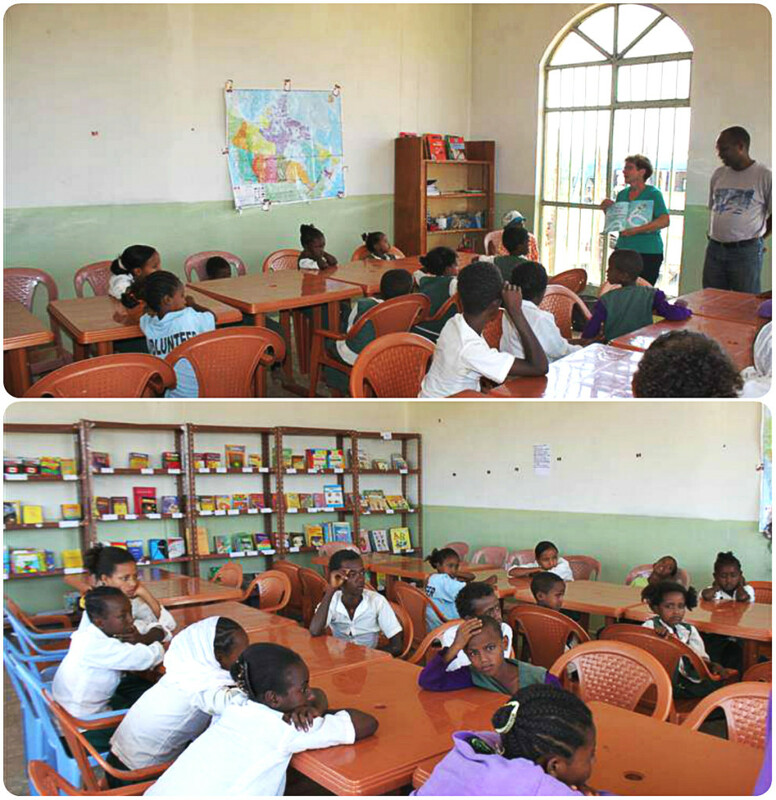 We worked with the staff, with the children in the education centres, and with the students at the vocational training centre. For me this trip allowed me to build better relationships with our staff and with our students. I was able to build good friendships with our volunteers, all of whom I look forward to working with again in the future. 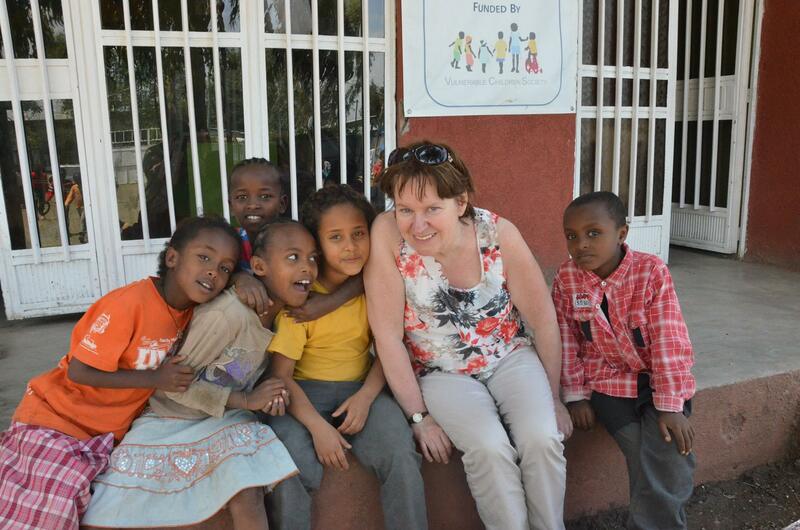 This trip I was able to interact with the children at each of the centres in Addis very closely. We spent a few days with each centre and this gave me the opportunity to get to know a number of the children, their names and their situations. These children are why we do what we do. They are the reason that we work hard at fundraising. They are the reason that we talk about our jobs and our work to everyone we know. When you get the opportunity to spend time with these children and to meet their families, you realize the effect that these programs have on the lives of these children and their families. The children in the photos below are just a few of the ones that are expanding my capacity to love and to work hard at what I do, in the hopes that they will have an advantage in life in spite of anything else that may happen in their lives. 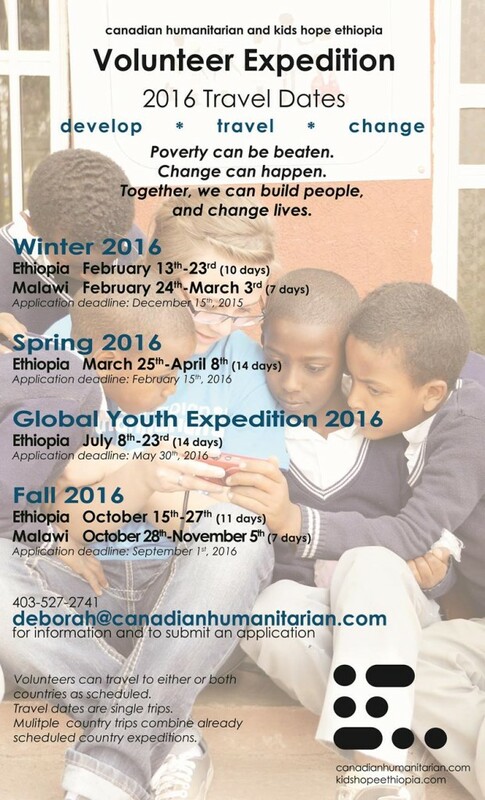 We had so many donations for the May Expedition Volunteers to take into Ethiopia this past week. Our office was full! 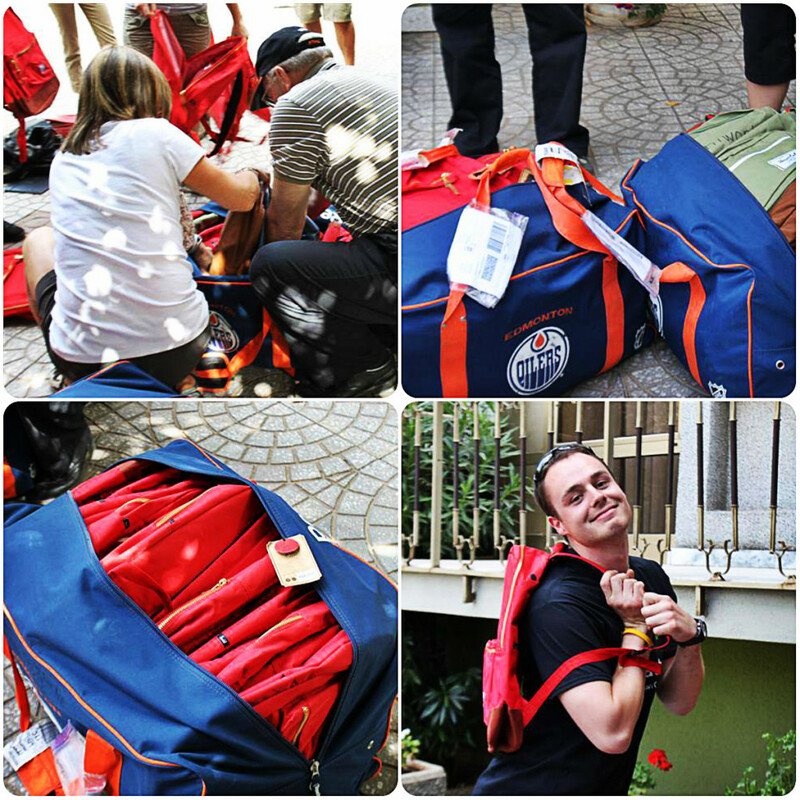 By the time we had finished packing we had 9 hockey bags that weighed 50 pounds each. It was absolutely incredible. There were tons of school supplies, and art supplies that will be taken to all seven of our Education Centers. 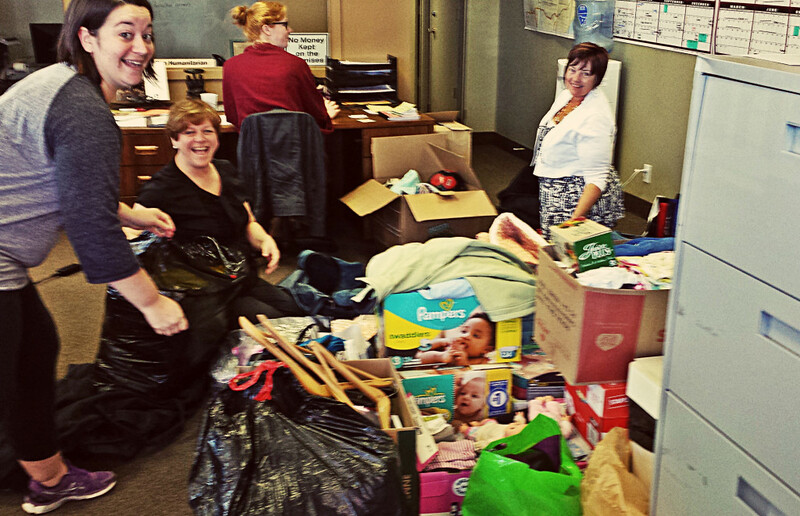 There was also diapers, baby clothes, and blankets that will be donated to a local orphanage in Ethiopia. Thank you to everyone who donated, we couldn’t do half the things in our Education Centers if it wasn’t for all the wonderful people who donate to this cause. Stay tuned for pictures of the children receiving all the supplies. 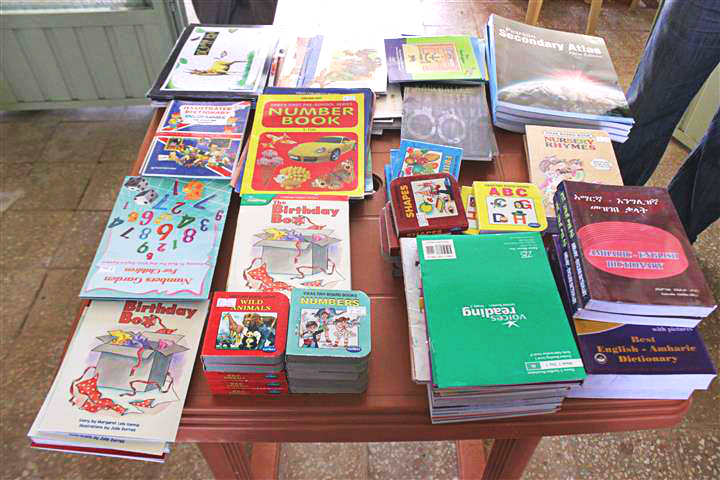 Lynn’s Book Club in BC raised over a thousand dollars towards buying books and supplies for the Gindo Library, and our other education center libraries. 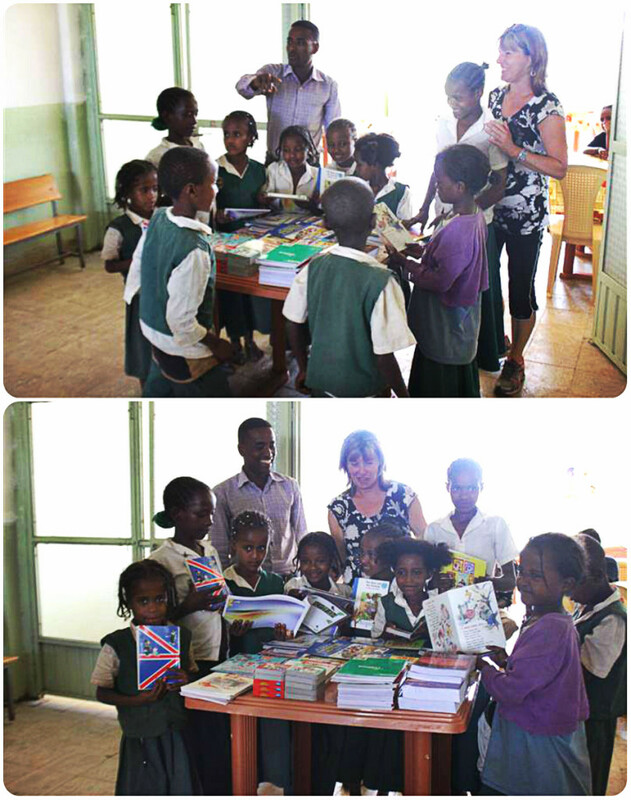 Here she is giving the books for the Gindo Center- with some of the kids looking at them! That was a fun way to leave Gindo! The kids at Kality are range in age from 4 – 7 years old, and they are just aching for someone to hug and play with them. Dr. Northcott got his chance to play with the kids too— they lined up and were taking running leaps at him, he would catch them, hug them, and then put them down. They loved it! What a great way to end our trip! We did ESL and hand puppets with the kids, interviews with guardians and picked rocks left from the construction on the grounds of the center! 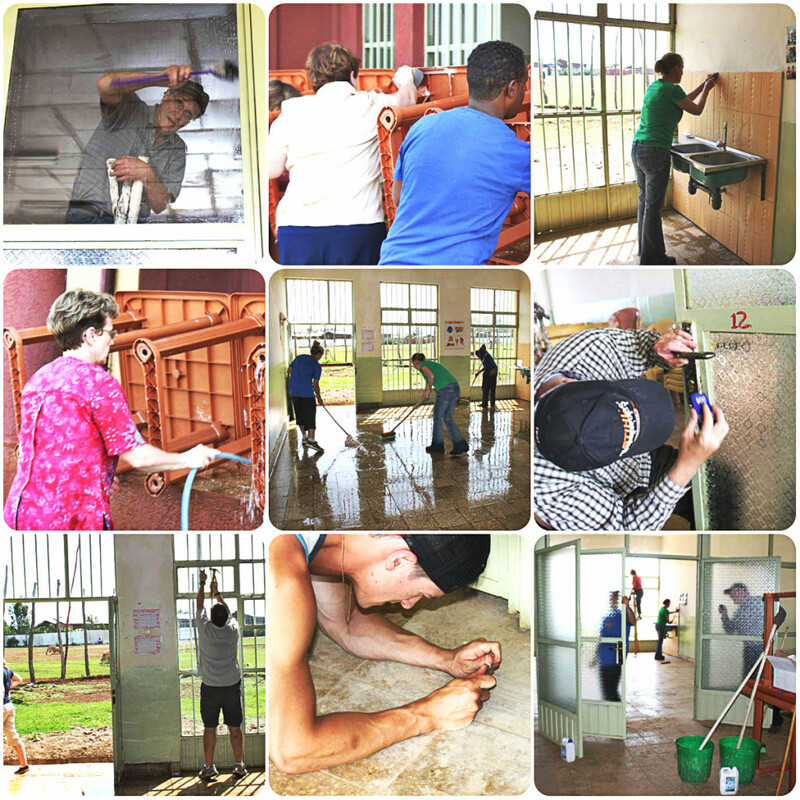 We spent two days working on clean up of construction residue at the Gindo Center! Paint off windows, and door handles, extra grout off tile floors, paint from around the clean up area, and then cleaned up the whole central hall area. We even washed down the tables and chairs from the kids’ dining hall. It looked BEAUTIFUL when we were done! We had the honor of bringing two of our students who are studying medicine (one in nursing college, the other studying to be a health officer) to join us for these three days to learn alongside Dr. Northcott, and to work together as a practicum experience. 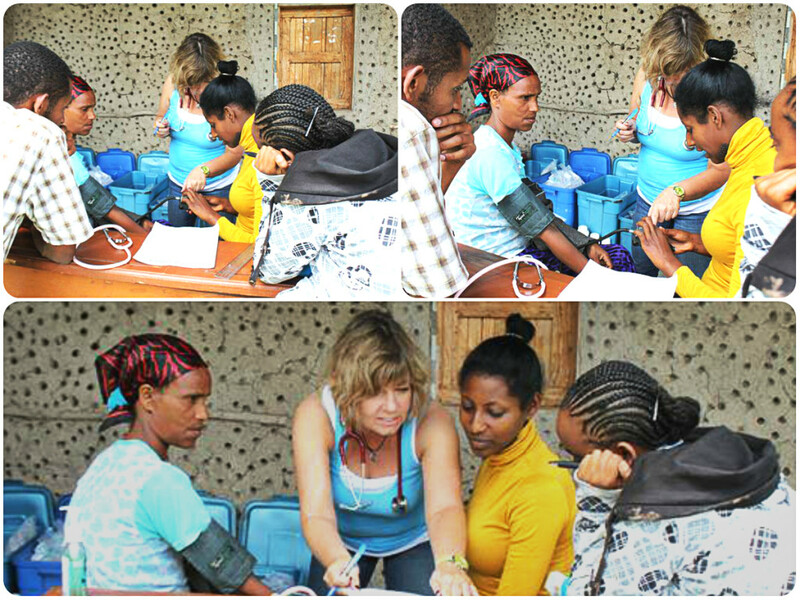 They did intake medicals, Susan taught them how to take blood pressure, and learned the technique of medical examination these past two days. As Eyerus said in our discussion at suppertime – “It was a perfect day”. One of the neatest things about this trip is to be working alongside some of the kids we took into the program years ago, now working with us to provide services to the new kids. As we watch the first generation of graduates enter into the workforce and into professional schools, we feel that all the effort has been worth while. These children have permanently broken the cycle of poverty. I asked Eyrusalem, who is in Health Officer training, what would have happened to her if this program had not been there. Would she be in Health Officer training? “Oh no,” she said, “I would be working as a cleaner or a server.” Imagine the tragedy of having this bright mind working as a cleaner, never able to reach her potential! It is good to be here. Ron and Martha Tanner, who have volunteered on a long term basis at our Education Support Centers in the past, now live in Ethiopia, only 30 minutes away from where we were today in Sheshamene. So they came and joined us for a time. It was great to see them! Ron- as usual kept the crowds begging for more of his magic tricks. They absolutely love seeing him making a hankie disappear! 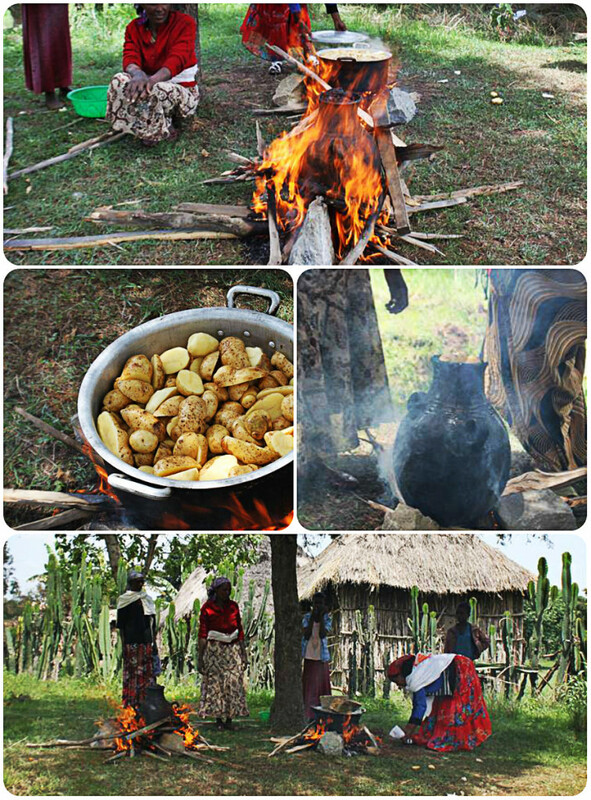 While the team was building and installing the bio-sand filtration systems, the foresight father’s wives set up fires, and cooked fresh picked potatoes- to boil and serve as a treat for everyone. They used both a modern and traditional pots to cook these in! With some spices and salt, these were wonderful to taste! 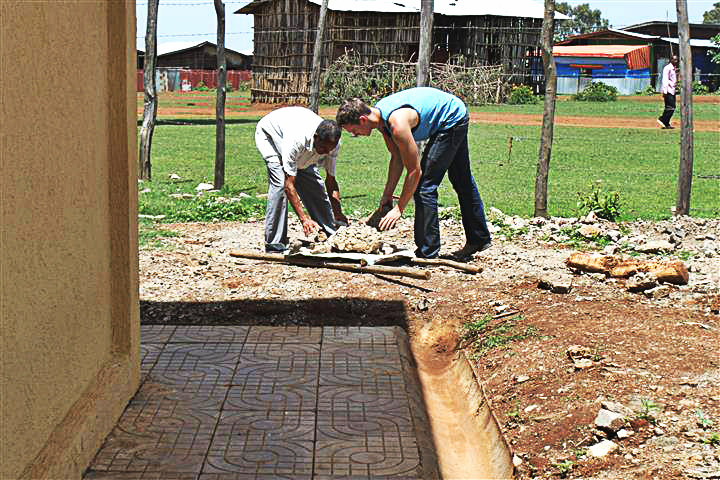 This was the view from the front gate of the first home to receive a water filtration system. You cannot believe the excitement and cheers that went up when the first water came through the filter pipe!!! What a great experience! 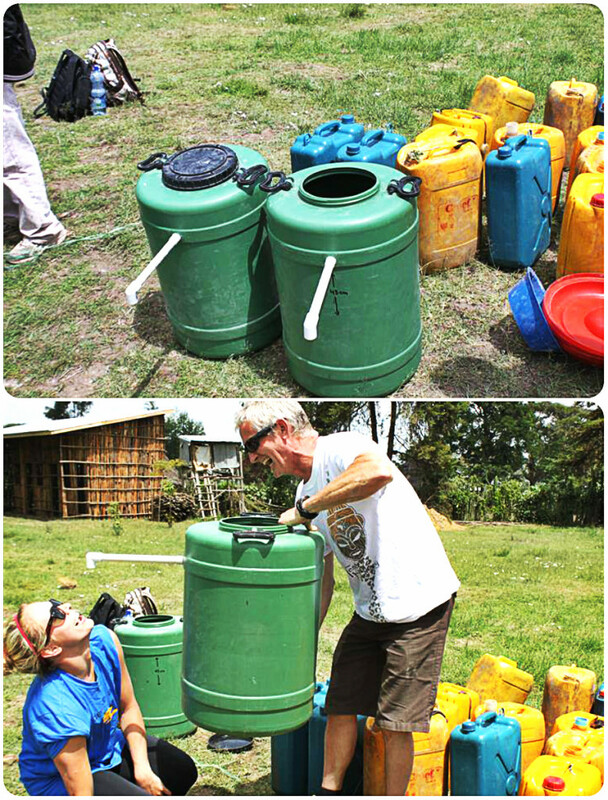 The Men and their wives were pretty excited to see the Bio Sand Filtration Units come together. 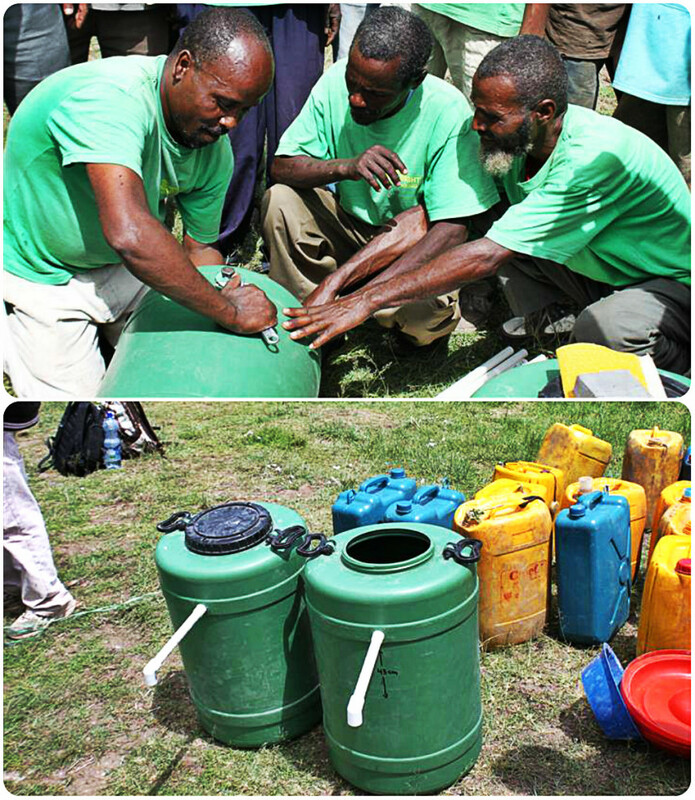 I think they finally started to understand how the filter would purify their water as it ran through these buckets. This home was on a quiet street in the village with lots of trees, their own backyard garden, stock holding pen and everything! 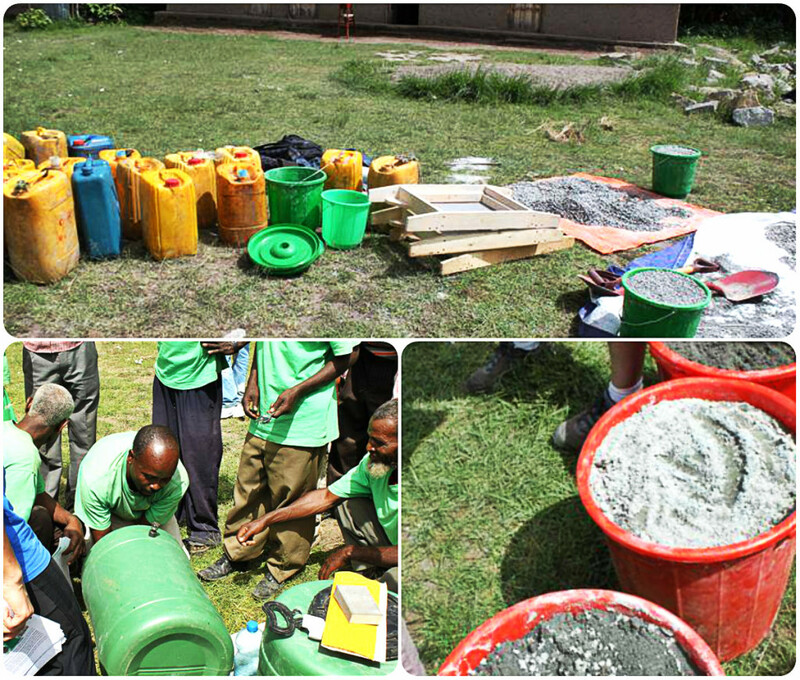 After a first day of hard work washing and sorting all the grades of sand and gravel, today the Foresight Fathers Group and the College students, constructed the bio sand filtration units. 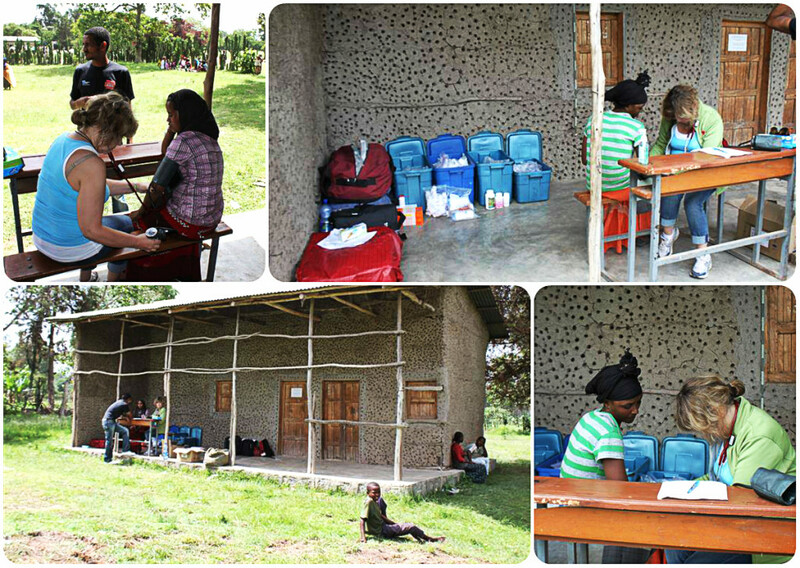 The community public health clinic has allowed us to also set up in their compound, and their front porch to do our pharmacy intake information and medical histories before they are seen in the Cool Examining Rooms. 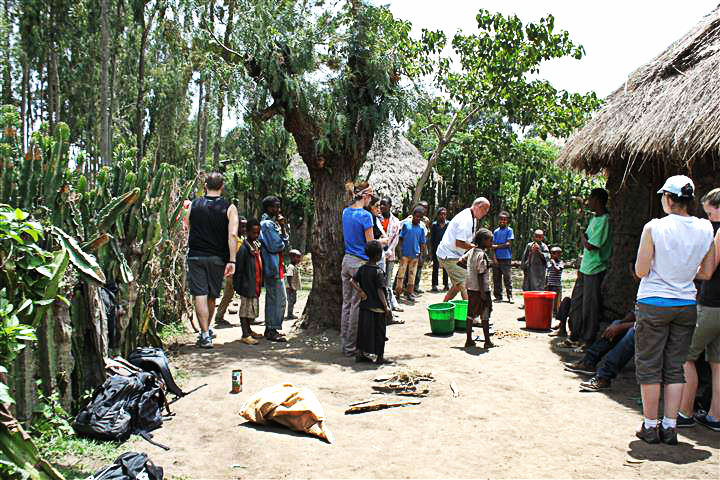 We have spent the last two days doing medical, English skill building, art, and bio sand filters in Turge and Kersa Ayele. This has been Dr. Northcott’s medical clinic. 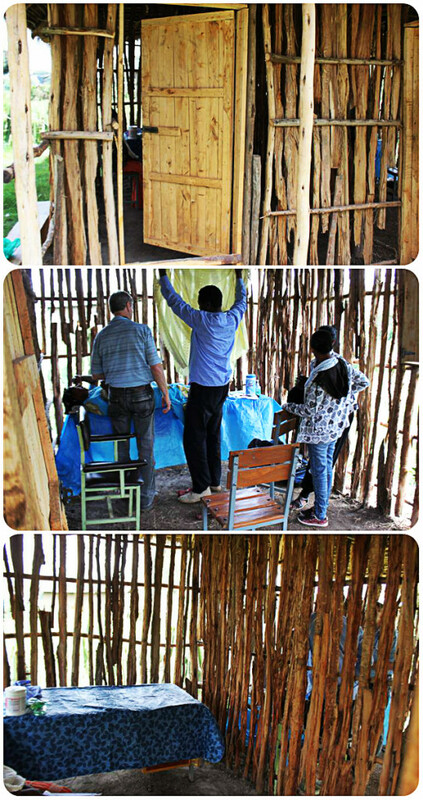 it has two rooms, shade, and walls that are wooden slats so the breeze can blow through. Since it has been about 28 C each day and a bit humid.. this has been the best place to be to work! 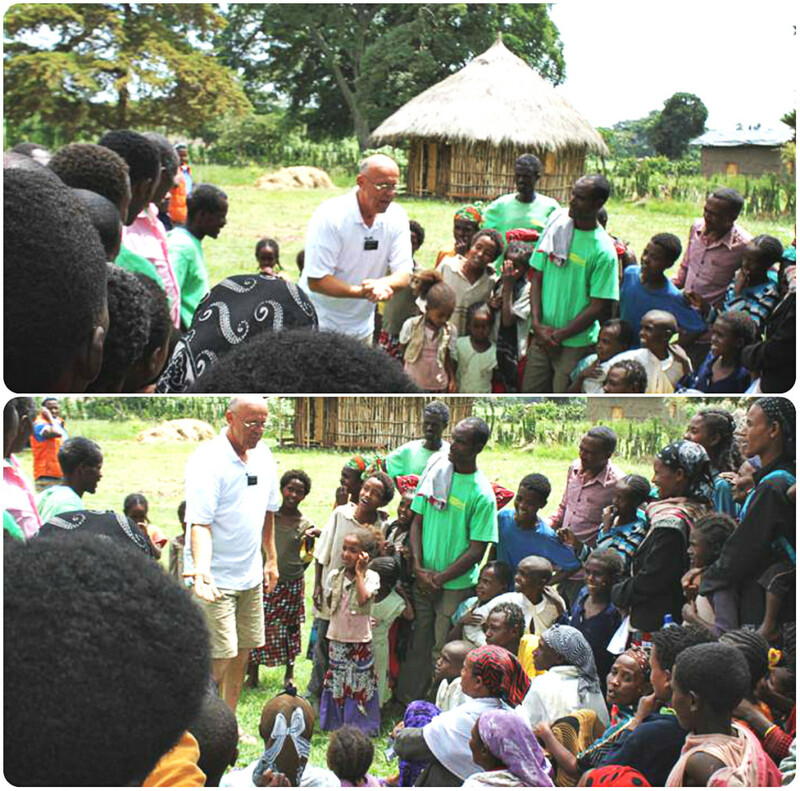 The welcoming and introductory speeches were given to us by the fathers, and from us to them. We had to quickly finish and hurry back to the bus to avoid getting wet from the thunder storm that sprang up during out time in Turge. What a down pour! We all gathered at one of the father’s homes close by for their welcoming ceremony to us. We will be working with them for the next 3 days. We traveled to the small community of Turge, where we met up with their Foresight Fathers group, in potato fields working (and singing as they worked). 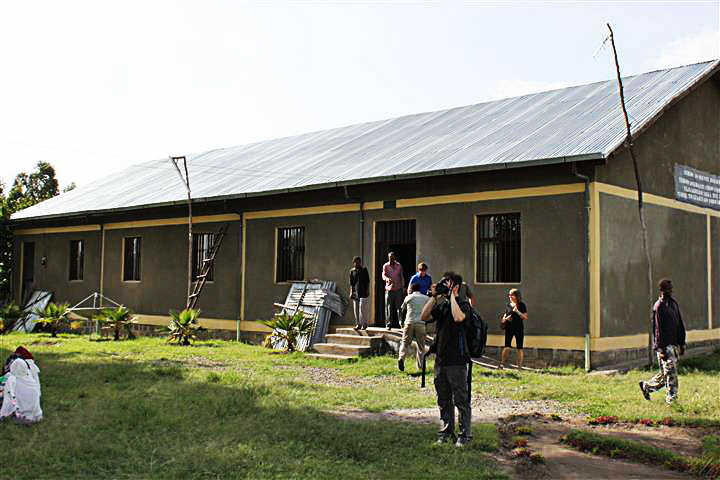 We visited the Foresight Fathers compound in Kersa; to say hello to the program managers, and to see their new education center. 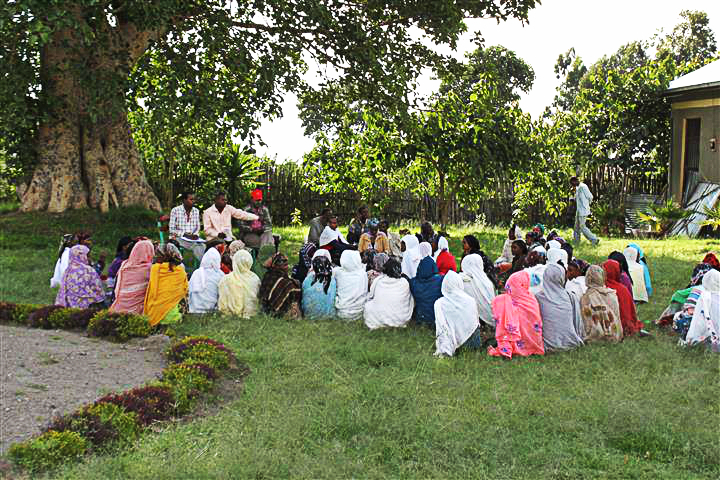 Adults were receiving a training session under the warka tree. 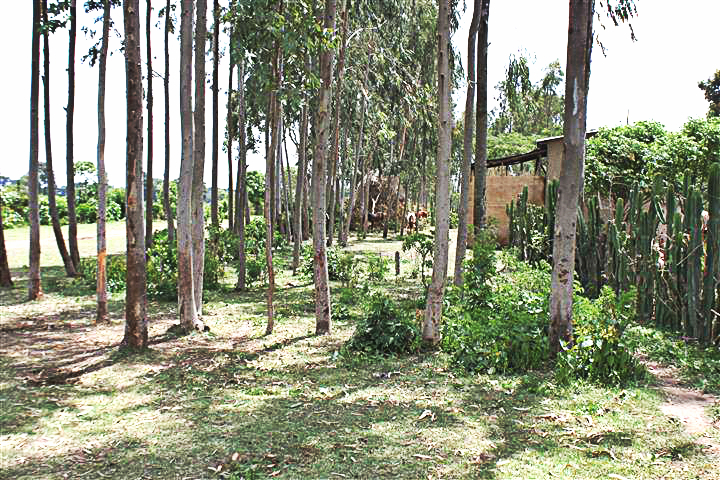 The youth group was busy making seedling plantings of coffee bushes… they hope to raise a crop of coffee this year and earn about $40,000 Birr profit in 2014 from their efforts. Tuesday morning very early we hit the road to Sheshamene and to the two rural communities of Kersa and Turge. 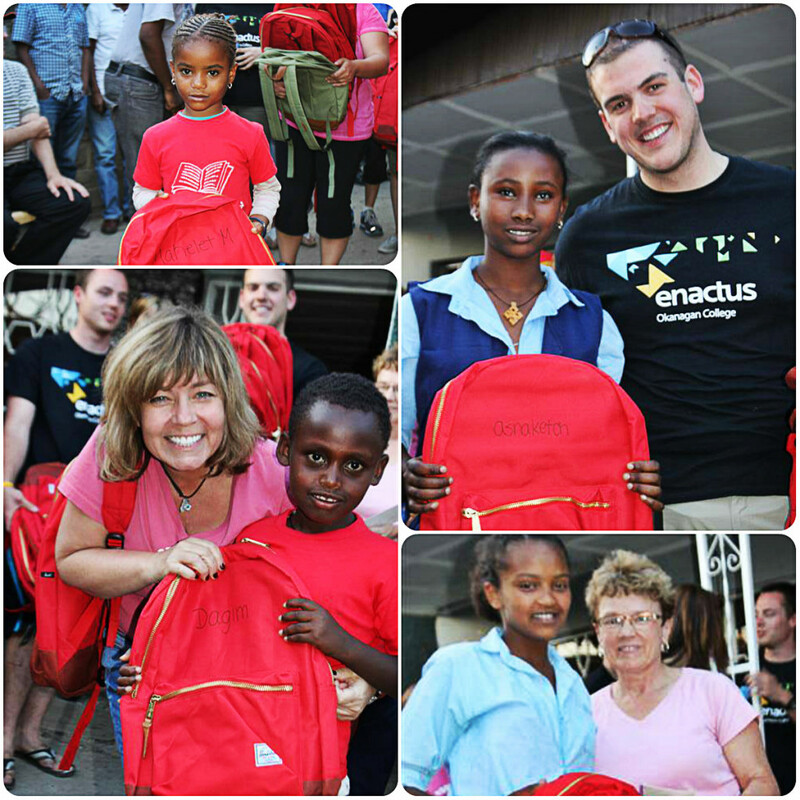 The kids were really happy to get their backpacks, and we were really happy to give them. We had a great day at the Kirkos Education Support Center! We played games with younger children outside, while inside older kids worked on their art pieces. The group arrived a little ahead, and had already spent some time getting supplies ready and organized. Monday when Deborah and Dr. Northcott arrived, some of the program had already begun! Here they have packed up the beautiful backpacks given to Canadian Humanitarian to give to students. 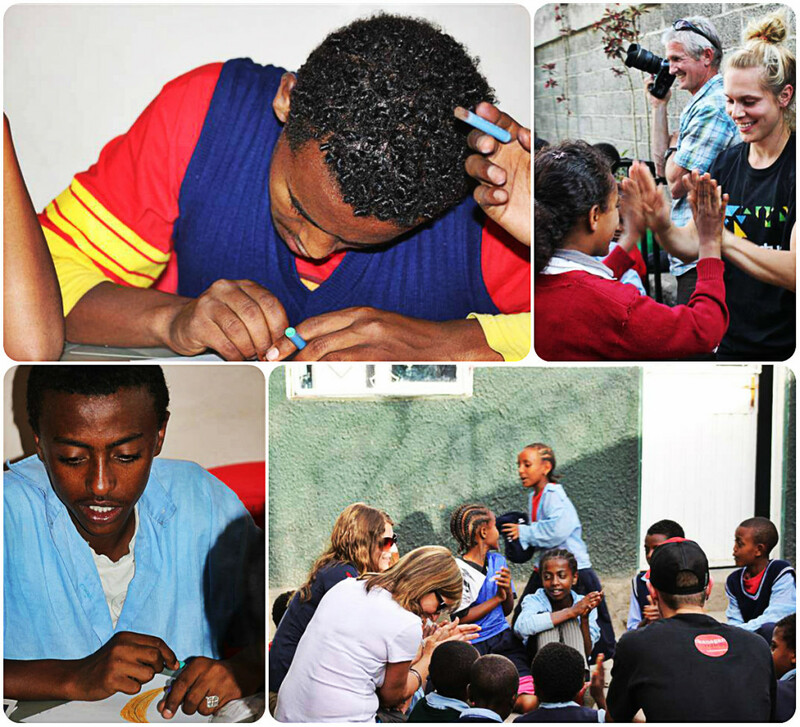 They visited the Kirkos Education Support Center to complete the art program and give the students their own backpacks.